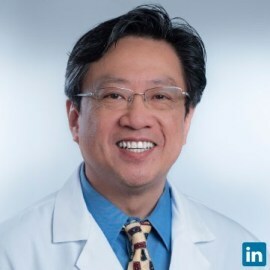 A senior scientist, engineer, and executive with 30 years of experience in healthcare, finance, semiconductor, telecommunication, and computing industries, particularly on healthcare industry and academic medicine in the past 23 years. Experts in informatics, imaging and AI technology and their applications in healthcare and biotech. Currently Chairman of Department of Systems Medicine and Bioengineering at Houston Methodist Research Institute; Chief Research Information Officer, Chief of Medical Physics, and Head of Informatics Development/Health Innovation Department at Houston Methodist Corporate; JS Dunn Presidential Distinguished Chair of Biomedical Engineering at Houston Methodist and Professor of Radiology, Neuroscience, Pathology and Laboratory Medicine at Cornell. Worked globally and managed large multi-disciplinary teams. Professors at UCSF, Harvard and Cornell/Houston Methodist contributing to the fields of digital health, medical imaging, drug discovery, and cancer & neurodegeneration research. Obtained senior executive education from Stanford, MIT, and Columbia University. Published over 500 peer-reviewed scientific papers. Consensus builder and visionary. Dedicate 2nd half of my life in solving healthcare problems.